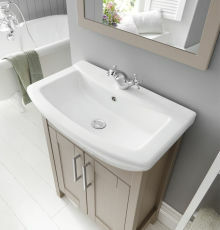 Combined with a contemporary ceramic basin and shaker doors this is a stylish design. 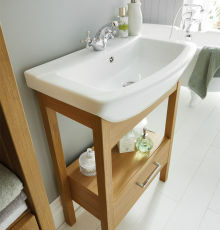 This design style produces a traditional but modern vanity unit. 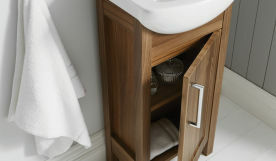 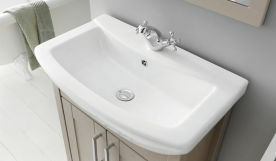 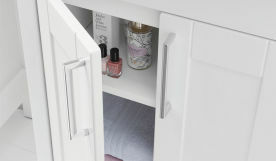 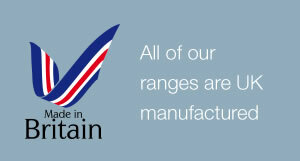 With two sizes to choose from, the vanity units will fit most bathrooms, ensuite or cloakroom. 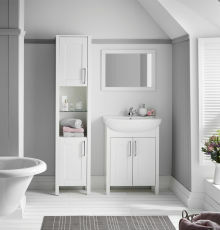 The tall unit complements both vanity units and has an open glass display shelf. 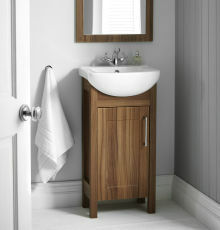 The matching mirror completes the look and can be hung either landscape or portrait to suit. 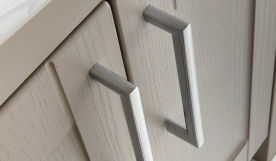 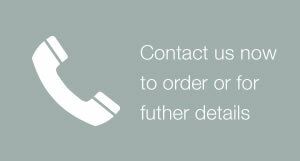 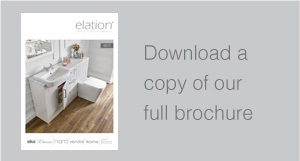 Available in Natural Oak, White Gloss & Walnut finishes.